« How to edit a Mp3 File? 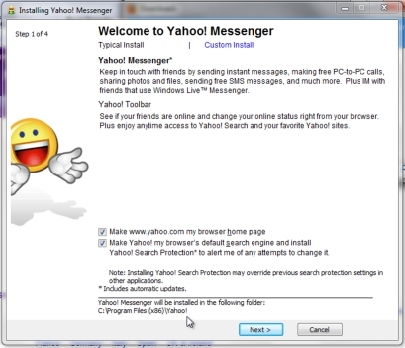 How to install and use Yahoo! Messenger? To download the installer application simply press the “Download Now” button. Double click on the downloaded file and let the installation start. Follow the instructions given and install the application on your system. 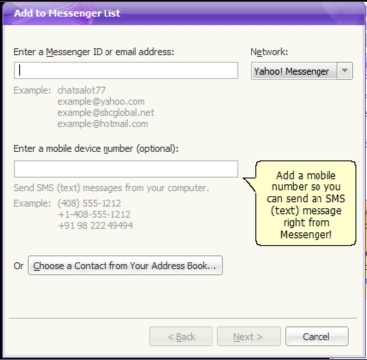 Once the yahoo messenger application has been successfully installed simply run the application. 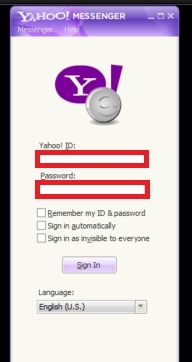 Once the application is running, simply input your Yahoo ID and password and then click on the Sign In button. If you don’t have a Yahoo ID, you can create a new account from their website. 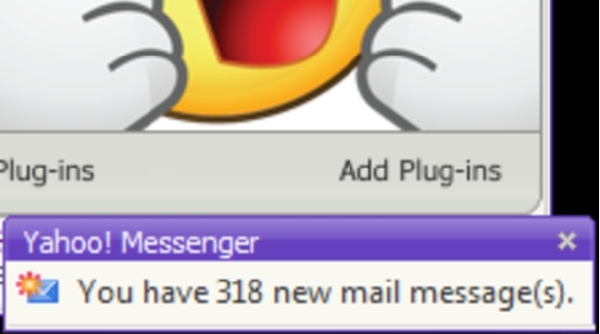 Once successfully logged in you would be notified with the unread email’s in your inbox. To add people to your messenger simply click on the “Add to Messenger List” button. Once the new window pops up, you would be required to input the email address of the person you want to add to the list. 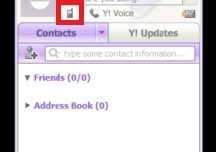 You can even connect your mobile phone with your yahoo messenger. Simply click on the icon highlighted in the image below. 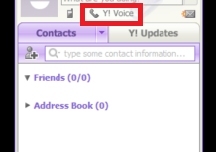 You can choose the yahoo voice option to make a call to a number from your PC, set-up call forwarding and even get a phone number for your PC. You can also use this feature to make voice/video calls. Moving over to the Y! 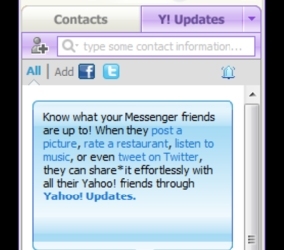 Update tab, you can integrate your Yahoo Messenger with different social networks such as Facebook and Twitter. 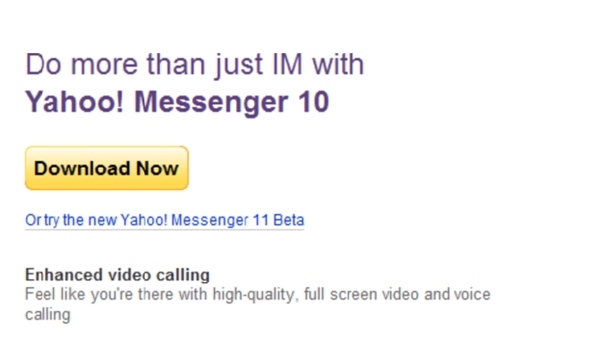 Get all your updates through the Yahoo Messenger only.